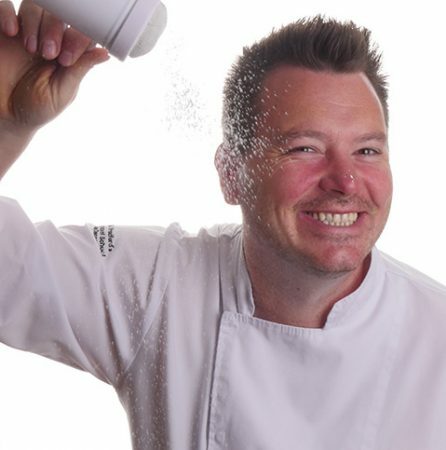 Using Squire’s Kitchen silver leaf, Paul shows you how to apply the delicate panels of silver leaf to an iced cake. The result is a great and rustic looking silver finish. Use a purple sugarpaste fed through a pasta machine if possible (you can do this by hand too as Paul shows) to get the sugarpaste evenly thin. You can then use an extruder, knife or the cutting section of the pasta machine again to create the sugarpaste strips ready for decoration. After preparing the sugarpaste strips from lesson 2 you’re now ready to move onto creating the leadwork. Pay attention to Paul’s methods on duplicating his design onto the cake – and take your time as it can get tricky. Use the templates provided (above) to guide you with Paul’s design, or try your own design if you’re feeling confident! The branches overlap your existing leadwork (from lesson 3) and with some care and attention, with this lesson you can achieve nice smooth curved branches ready to add the flowers and leaves later on. Flower paste discs are initially rolled out at different sizes (so Paul can get an idea of what fits the design best), these are then left to dry on a sponge in a minimum heat oven with the door open for around 2 hours which lets them dry out and ready for the next phase. Moving on to painting the roses and branches. Do a web search for Rennie Mackintosh Rose, this will help you will discover some great examples for which to base the decorative flowers on. The roses are painted using petal dust from the Sugar Mill (rose garden and delicate plum). Paul finishes the Roses off by first cutting thin pieces and slightly thicker pieces of sugarpaste, ready to apply to the rose as leadwork (don’t worry it’s only sugarpaste, don’t use actual lead!) 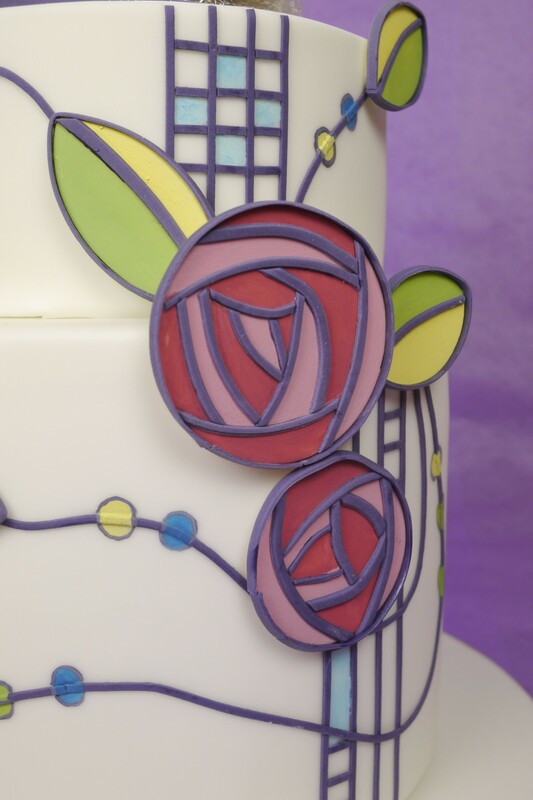 As an alternative you could also pipe royal icing to the rose for a similar effect and potentially less time consuming if you have a steady hand. 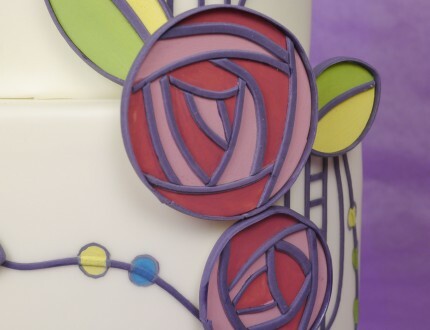 The mixture of thin and thick sugarpaste looks great, finish the rose off with a thicker band of sugarpaste attached to the outside circumference and then attach to the cake. 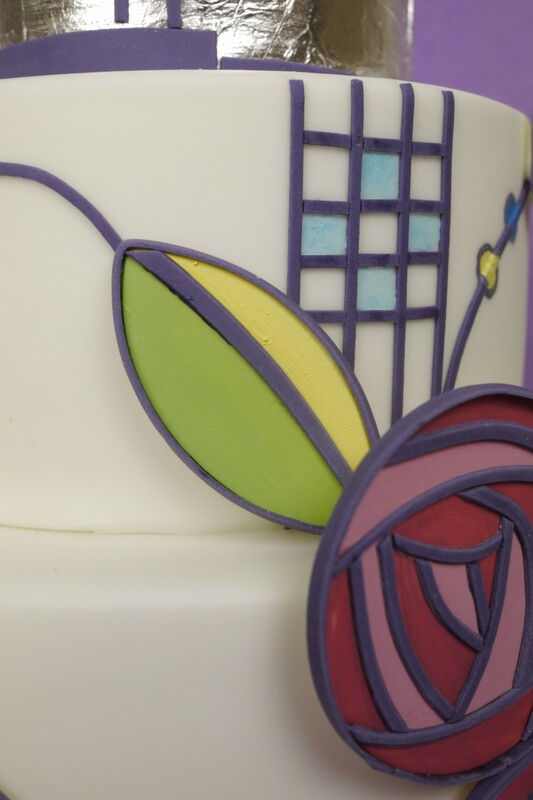 Paul shows you how to add painted detailed highlights to the decorative elements of the cake along with attaching the remainder of the finished roses. 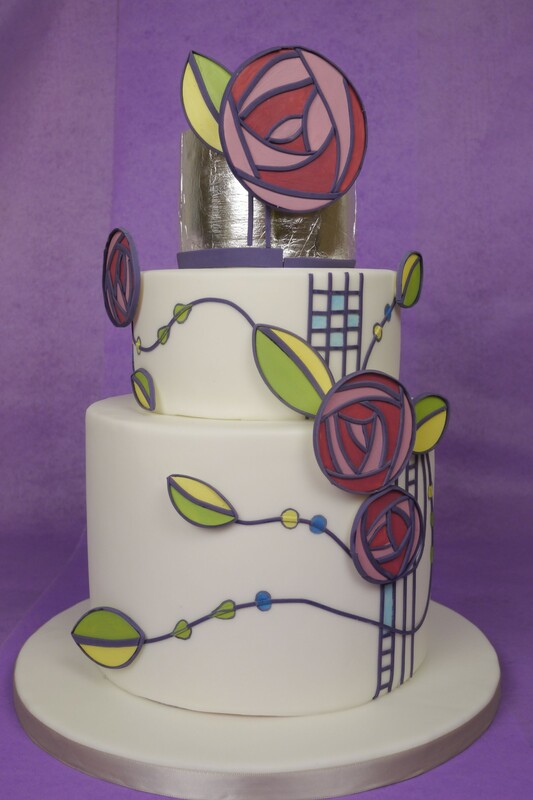 Lesson 9 covers the finishing touches of this great design, starting with trimming the silver leaf of the top cake tier and using your brush to smooth any rough texture and edges away. 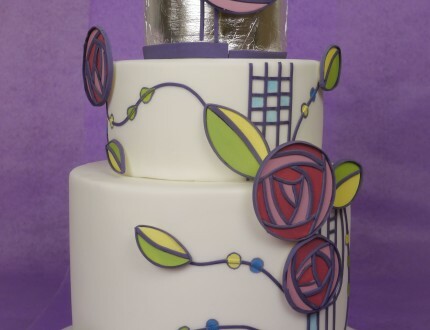 The top cake tier is then positioned on the cake and finished off with more sugarpaste strips that tie in with the rest of the design. And that’s it! Feel free to share your version of this cake with us on our facebook page here. 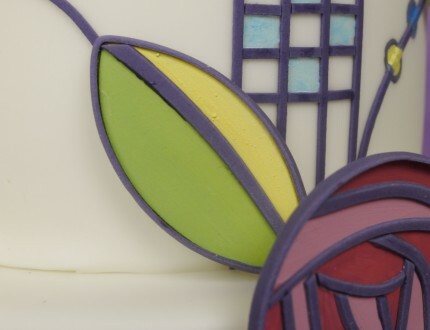 Really make your cake stand out from others using some of Paul’s alternate suggestions for achieving this art deco style. 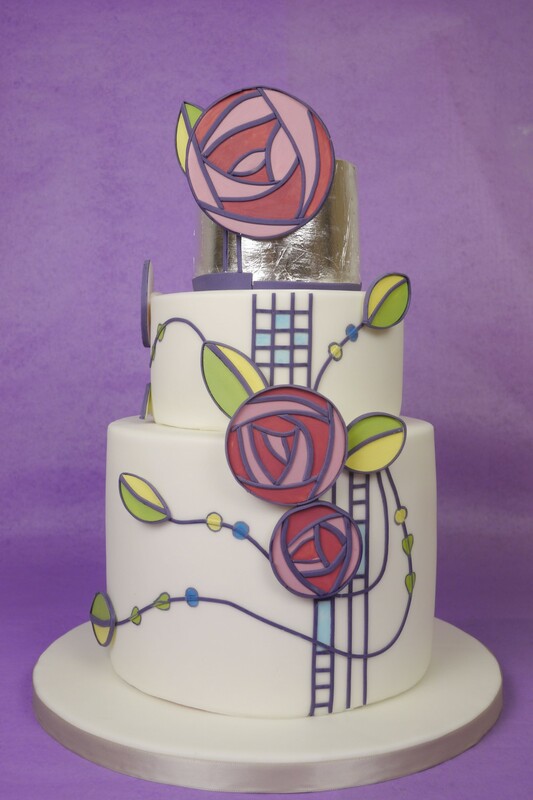 You could change the colours (taking inspiration from Charles Rennie Mackintosh work) or even add the silver leaf to the middle tier and leave the top tier white which we also think would look great! The Pro lesson for this cake highlights the advantages with creating this cake to sell, covers the pricing and also some suggestions for cleaning up or modifying the rear of the design. A must for any Charles Rennie Mackintosh and art deco fans out there! 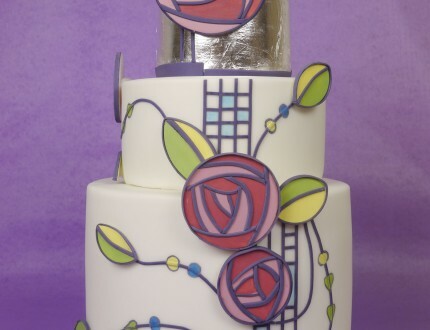 This Charles Rennie Mackintosh inspired cake is a great way to learn 2D flowers, painting and silver leaf wrapping techniques. Great for a wedding or anniversary this project is aimed at our intermediate/advanced members and should be made over the space of 2 days to give plenty of preparation time with the decorations.